It is officially Fall! 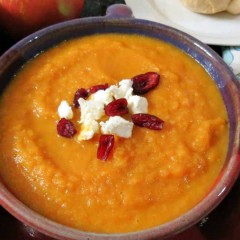 Time to shift from ice coffee and gazpacho to Pumpkin Spice Lattes and hearty soups. This recipe is awesome, (you might even say “soup-er”) and makes a hearty soup that is healthy, delicious and keeps well in the fridge.